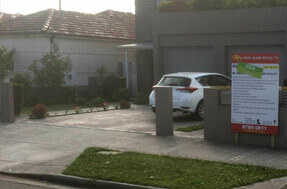 Top Value Rose Bay Waste Removal Service. Residential & Commercial. Fast & Affordable. Call Us! Are you struggling with a growing amount of unwanted goods (junk!)? If you’re like many Rose Bay residents, at times you may find that the standard curbside waste removal service isn’t quite enough. That’s why Same-Day Rubbish Removal is here. We specialise in removing waste that isn’t so easy to dispose of. Whether it is large and bulky items such as old white goods and furniture or mass business e-waste like old computers, monitors and printers - we’re ready to dispose of it! You don’t want to spend your spare time doing this yourself - save time and money by using the services of Same-Day Rubbish Removal. It is often thought that hiring a skip bin would be the easiest and most affordable way to remove bulk junk, but our business model proves this wrong. When the costs of delivery, removal, and hire of a skip bin are added up, it works out that a team from Same-Day Rubbish Removal can do the same job without delay and at a better price. We pride ourselves in our affordable fast and friendly rubbish removal service. 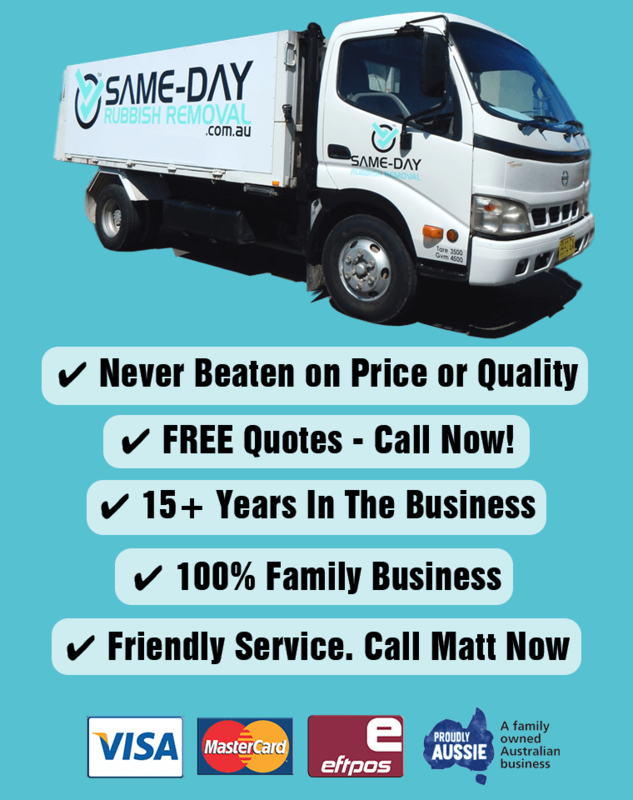 Same-Day service is available in Rose Bay, Bondi, Dover Heights and most other areas throughout Sydney's Eastern Suburbs. 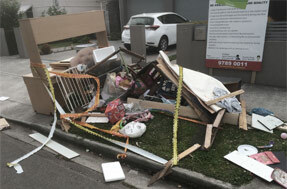 Our team will always make sure your Rose Bay job site or residence is looking spotless when we take away your junk. If you’re not sure that our service is right for your situation, call us today and chat to one of our friendly staff about it. Is This a Load of Rubbish? You may think this fast, efficient and affordable service sounds too good to be true. Nothing beats having someone else doing all the hard work for you. Our team are constantly removing all kinds of trash and with their combined years of experience, there is little they haven’t seen. We’re ready to take away your waste no matter the size, you just tell us what to take! We can guarantee you’ll be happy with our service. Same-Day Rubbish Removal should be your first call when you have a junk problem. It doesn’t matter whether your waste problem is huge or only small, our experienced team will solve your problem. We service all of Sydney and we will never be beaten on price or quality. Contact us now (0402 737 046) for a free quote and dispose of your rubbish problem!